THE GOVERNMENT HAVE provisionally appointed five people to the Censorship of Publications Board solely for the purpose of dealing with a complaint against Minister Alan Shatter’s novel ‘Laura’. The board meets only when required and Minister for Arts, Heritage and the Gaeltacht Jimmy Deenihan has said that the continuing requirement for the board is to be “reviewed over the coming period”. The Censorship of Publications Board last met in June 2008 and one complaint has since been received for consideration, this complaint relates to Shatter’s book. Although the board only meets when required, the term of the new board will run until November 2016. “Board members are not paid but will be recompensed for expenses incurred in respect of attendance at board meetings,” according to the department. ‘Laura’ was republished last year after being first published in 1990 and centres around the troubled private life of a pro-life politician who has an affair with his secretary and subsequently urges her to procure an abortion. Fianna Fáil last year introduced the Censorship of Publications Board Repeal Bill arguing that the board should be abolished. 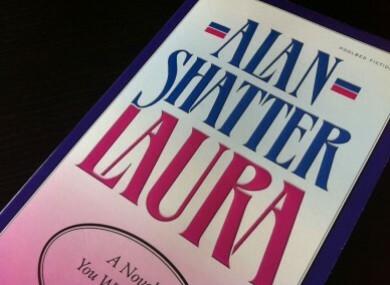 During a Dáil debate, Communications Minister Pat Rabbitte said that it is “only fair” that the complaint against Shatter’s novel ‘Laura’ is dealt with first. Solicitor Shane McCarthy has been nominated as the board’s chairman designate and will be joined by Noelle O’Connor, Sinéad Prunty, Philip Moynihan and Gerogina Byrne. Email “New Censorship Board being put together...solely to deal with Alan Shatter's 'Laura'”. Feedback on “New Censorship Board being put together...solely to deal with Alan Shatter's 'Laura'”.